I just love this activity! What a brilliant way to get children excited about programming – so simple to do yet so effective. Learn how to change variables and alter the dance steps of your robot. 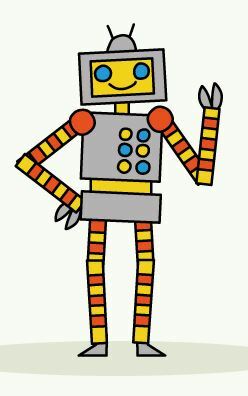 Why not make your own dancing robot with some card and split pins for a bright wall display? Get children to write an algorithm for their own dance moves for others to follow? Introduce repeats to really get into the grove!